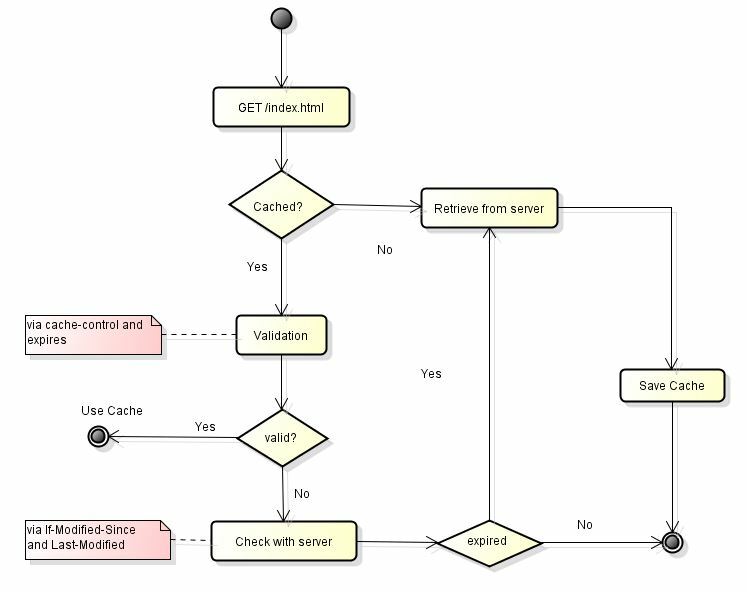 Before we dig into details, lets go through how caching act in the GET request flow. there are two steps of caching validation. Use Cache-Control and Expires together to make more support from all browsers. Remote validation after local validation finished without a decision of using cache.